Do you know who Paul Krugman is? 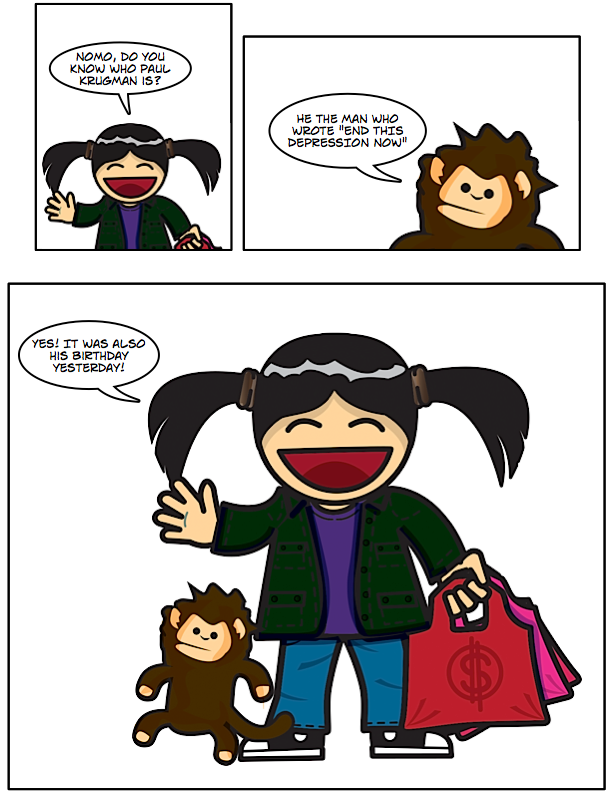 Paul Krugman is a Nobel Prize winning economist who wrote “End This Depression Now“. 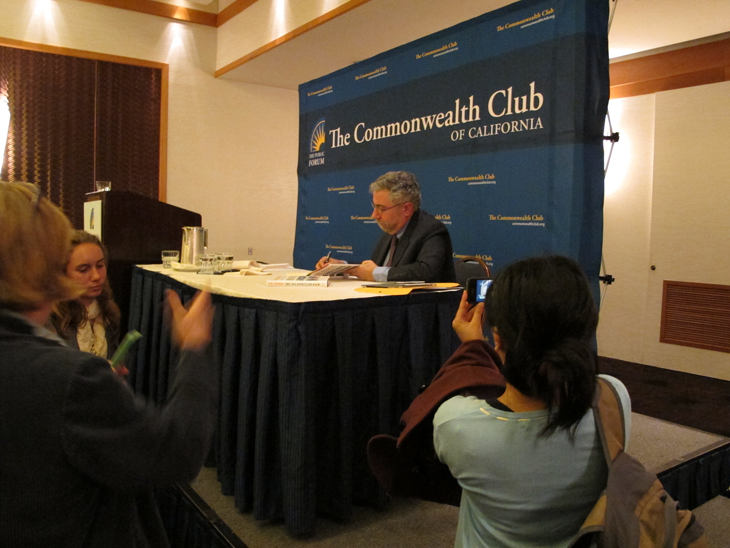 ABL saw him at the San Francisco Commonwealth Club to get a book signed for her dad. ABL likes Paul because he creates economic awareness. He says a country is not a company. Check out his blog, look him up and find insight in what he has to say.